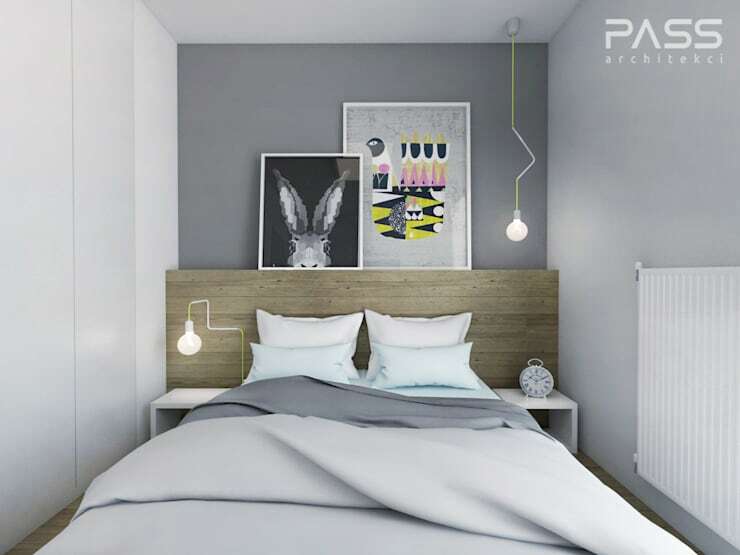 Small bedrooms can be every bit as stylish and inspiring as their larger counterparts. They have the advantage of looking totally cosy and this is definitely one of the most important elements in a good bedroom design. But far too often, people dismiss little bedrooms as inferior and fail to really make the most of them. The vivid use of colour, decorations and smart bedroom storage can make for a really inspiring small bedroom. So, to help our readers out, we have collected 10 of the most incredible small bedrooms. There is definitely something here to inspire everyone! If your small bedroom needs to double as a study space, this bedroom design is sure to inspire. The pale wooden panels in the small bedroom study neatly separate this space. It also perfectly matches the wood from the wall shelf above the bed. Finally, the natural, subdued colour palette creates a very cohesive look. The storage in this bedroom is almost all we can see here. But it's been beautifully designed to double up as a headboard as well. Check out the textured wood finish on the cupboard doors. Bedside tables are often the first piece of furniture to disappear in a small bedroom. But if you have the tiniest bit of space, something like this unique nightstand might suffice. 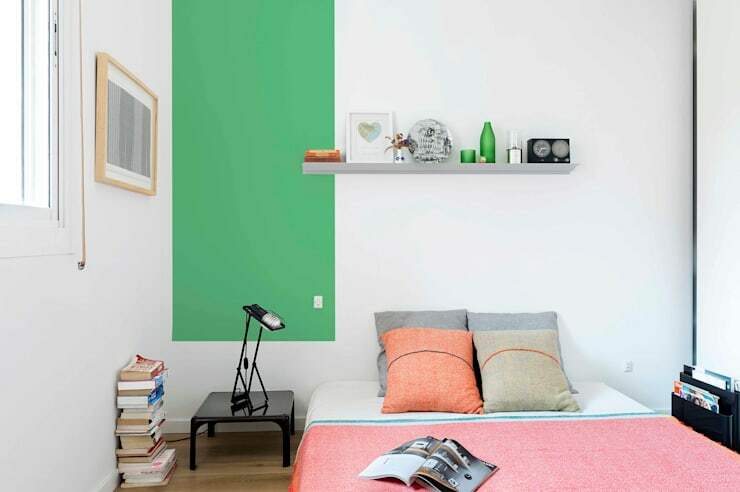 The contemporary feel is beautifully teamed with a fresh, apple-green feature wall. 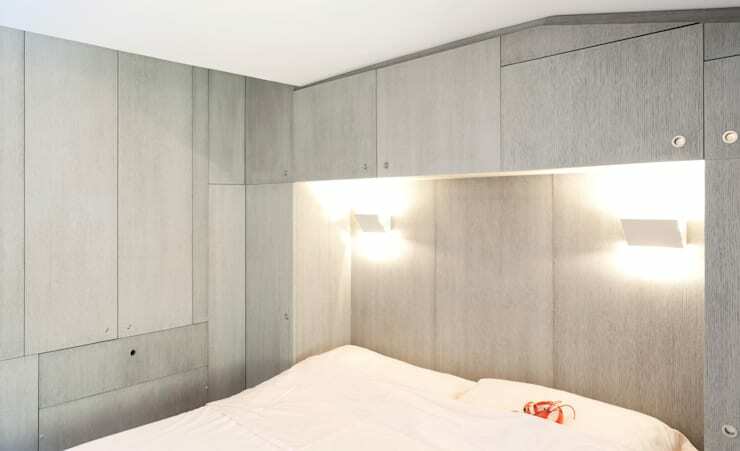 We really love the modern bedroom light recessed within this bedroom headboard. 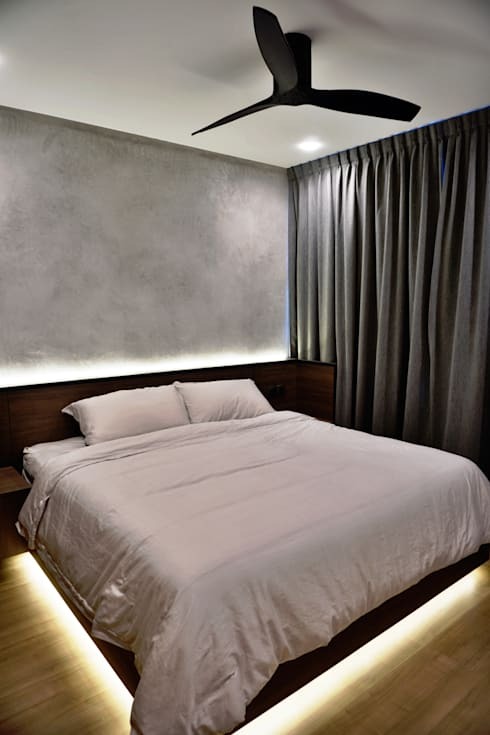 This is a really cool way to light a small bedroom while maintaining the minimalist look. 5. A bedroom partition and garden in one! This bedroom has one of the most inspiring bedroom partitions we've seen. It's made from glass so it makes the bedroom feel just that bit bigger. It's also home to a bunch of indoor houseplants so it infuses the bedroom with the look of lush greenery as well! 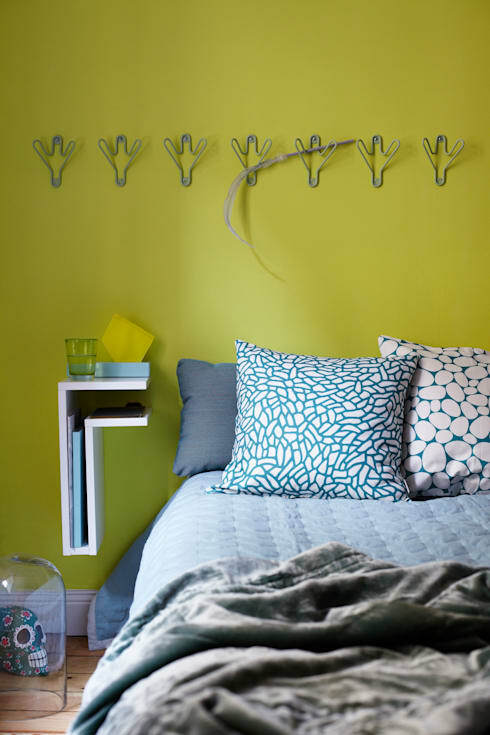 This small bedroom has just about one of the freshest and most appealing colour schemes we've ever seen. It's all held together by fresh white base. Minimalist furnishings complete the breezy and youthful look. This sleeping loft may be tiny, but it has a very comfortable plush feel. The dark timber floor matches the chocolate brown bed-linen and the recessed shelf has a golden tint for a touch of glamour. 8. Flexible bedroom furniture at its best! Flexible and fold out bedroom furniture is often a challenge in the style stakes. 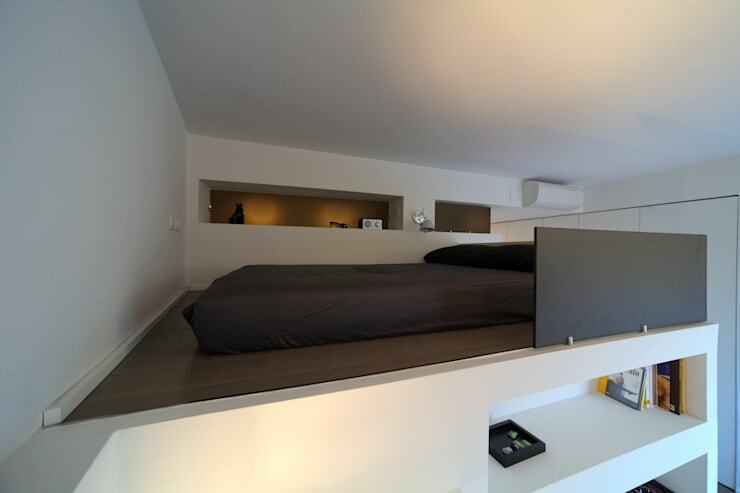 But this fold out bed definitely one to inspire. It's neat, minimalist and bold at once. Who says your bedside lamps need to perfectly match! Here we have a great combination of table and ceiling lights. The headboard is also has just enough depth to provide shelf space for some artwork as well. 10. The perfect small bedroom for watching movies! 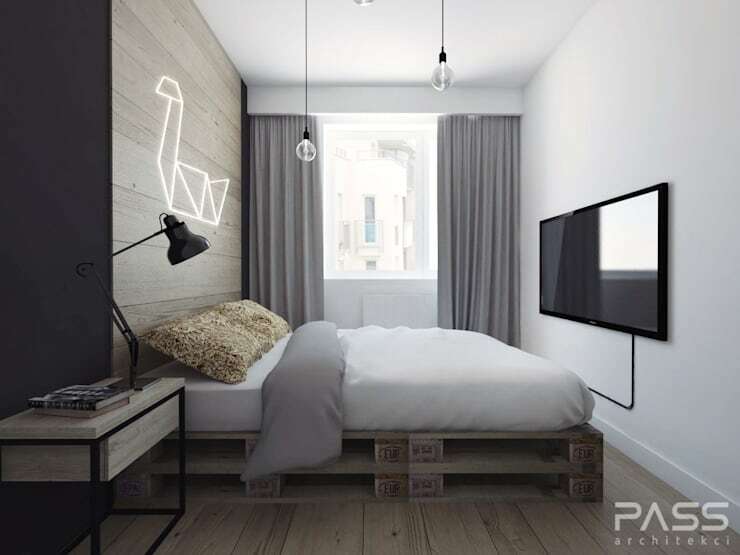 Upcycled palettes have been used to create the bed base in this urban-style bedroom. This bedroom may also be small, but it definitely looks like the best place to snuggle up and enjoy a film. For more small home inspiration, check out 7 ways to create different zones in a small home. Have you fallen in love with one of these little bedrooms?